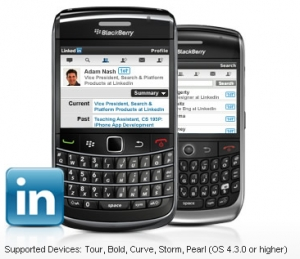 LinkedIn 1.2 for BlackBerry Released | BlackBerry Blast! LinkedIn version 1.2 for BlackBerry has been released. The new version fixes some bugs with the application like contact management and battery life. If you're a LinkedIn user you'll want to check out the new version at the link below. "We’ve just released an update focused on performance, battery life and resolving several issues our users were seeing with downloading connections. We made a number of changes to how we handle merging your address book with the BlackBerry Contacts application and other changes that should significantly reduce the battery life issues some users have reported."